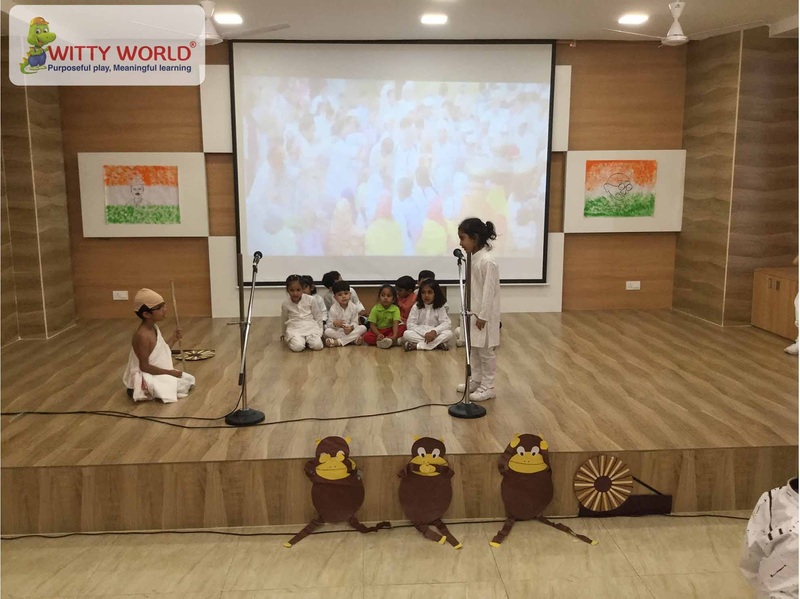 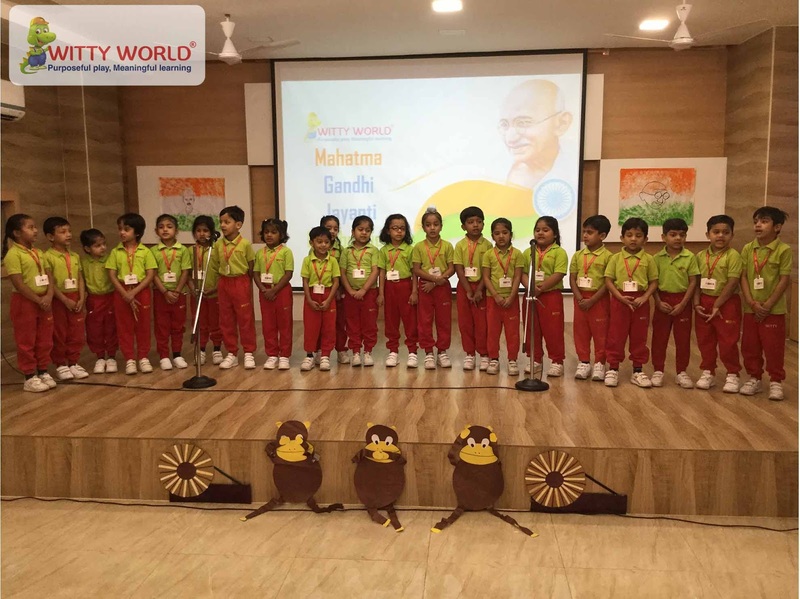 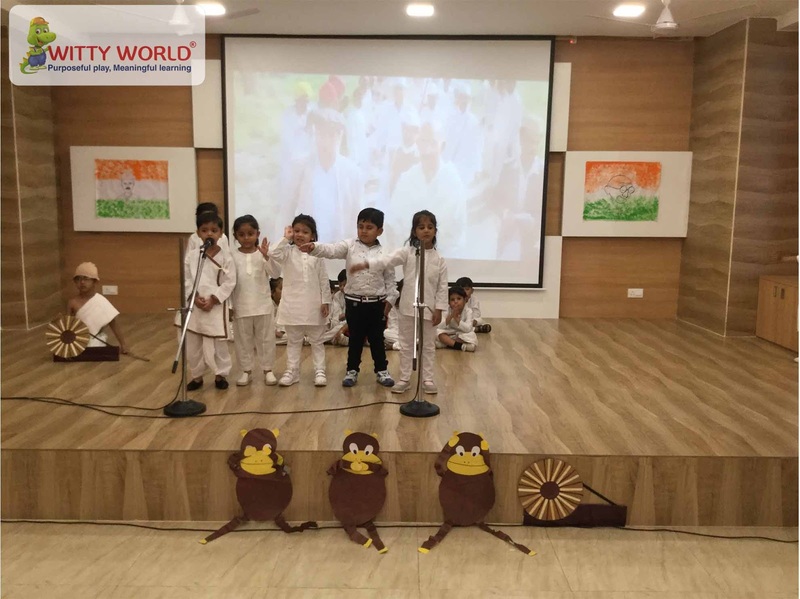 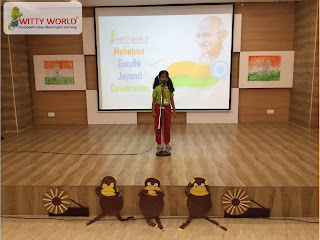 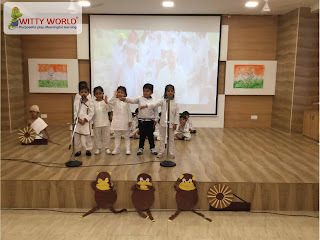 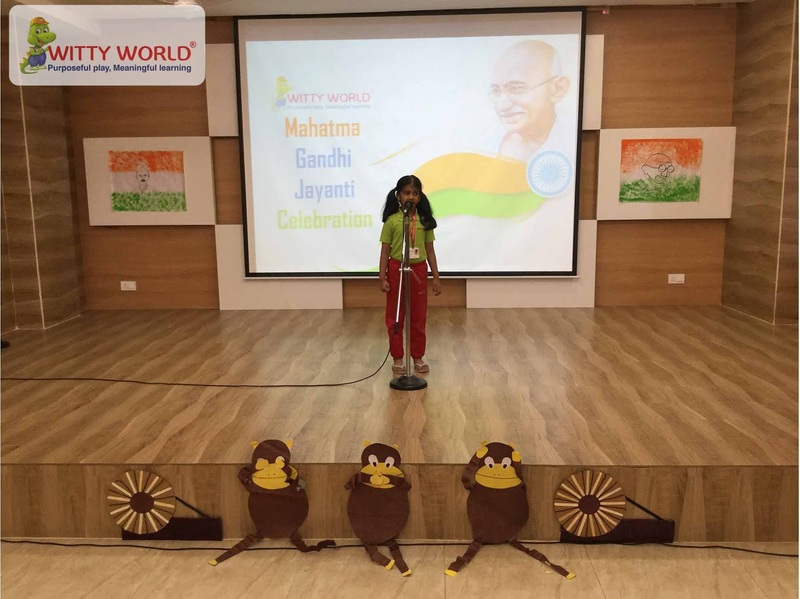 To show the wonders done by Mahatma Gandhi to set India free from Britishers, Witty World Bhilwara arranged an event celebrating the Birthday of Father of our Nation, Mahatma Gandhi and Lal Bahadur Shastri. 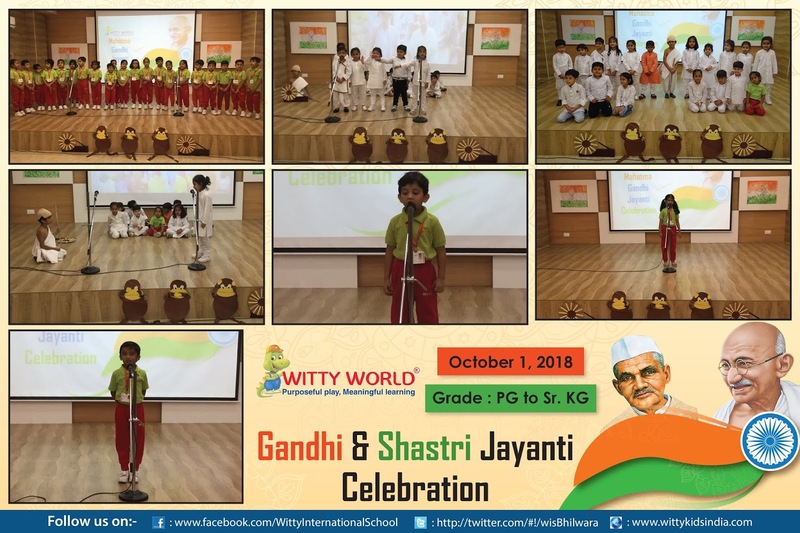 The event was held on Monday, October 01’ 2018 for the little Wittians who got to know many things about the life of two biggest freedom fighters. The tiny tods came dressed like Mahatma Gandhi and his followers, they came to know about how people at that time use to make cloth from charkha. To understand it better Kids drew charkha in their scrap books. 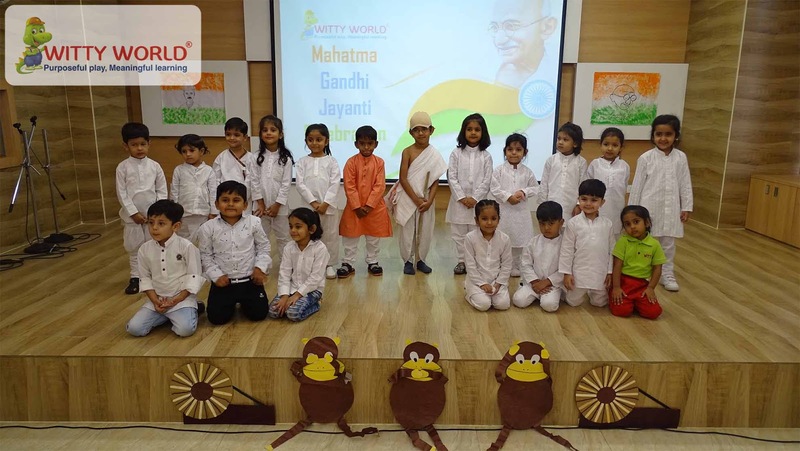 Some kids depicted the scene of Dandi March where rest of them came to know how Gandhi ji broke the rule of salt, by making salt from Sea Water. 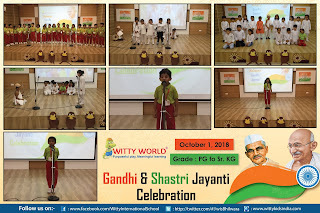 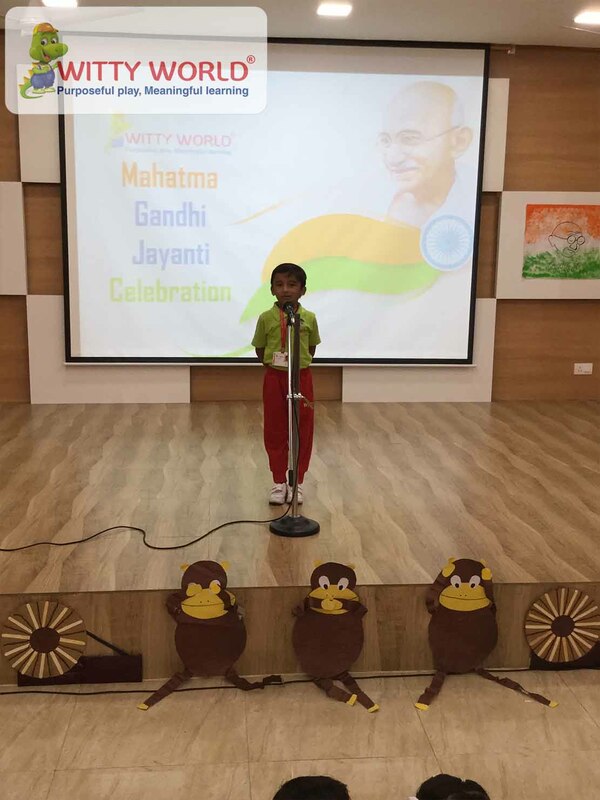 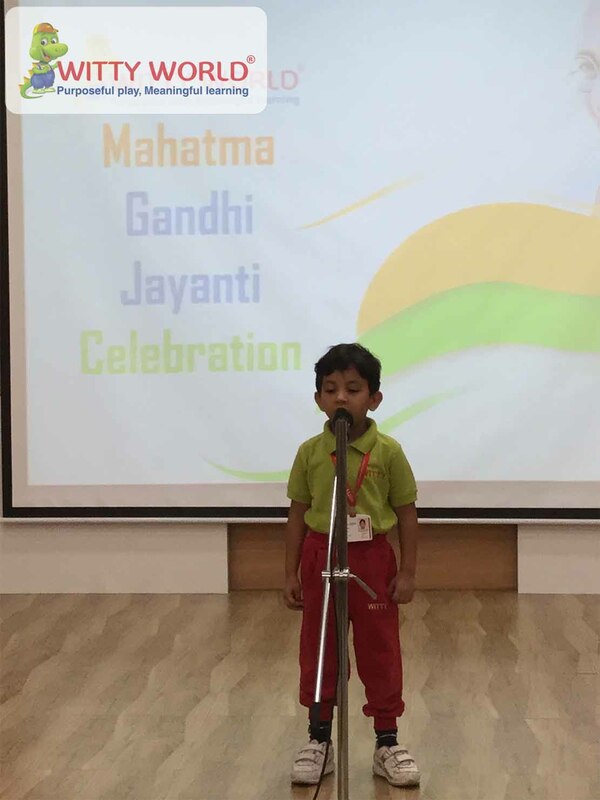 The kids sang patriotic songs to give a tribute to Gandhi ji and Lal Bahadur Shastri ji. 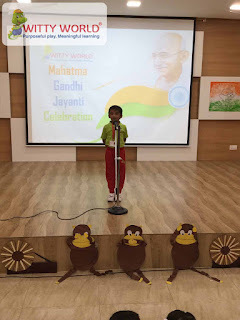 The day was full of learning for the kids with great feeling of Patriotism.